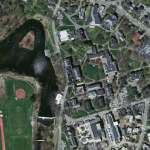 he 2005 Massachusetts Orthophotos are now available for Western Massachusetts. Visit the MassGIS webstie for details. All orthophotos are available in the SAL on GEO. Just connect to: Geodatavolgisdataus_stateseastusamaImagesOrthophotos2005 and start viewing gorgeous imagery.